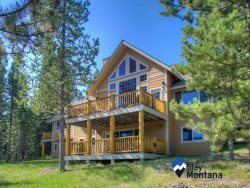 There is so much to do from early June to late August in the Yellowstone, Bozeman, Big Sky, and Livingston areas. From the summer farmer's markets to the Music in the Mountain Series to Fourth of July celebrations there is something for everyone. A place to gather, socialize, support local businesses and vendors while engaging in community with the entire family. Offering a platform to independent filmmakers with freedom of creative expression. Enjoy free outdoor concerts all summer long hosted by the Arts Council of Big Sky. Enjoy this free family-friendly event all summer long! Celebrating the Montana lifestyle with music, livestock, special entertainment, activities for kids, competitive exhibits, carnival rides, food, agriculture education, class exhibits and much more! A three-day festival of the arts held the first Friday, Saturday, and Sunday in August, the Sweet Pea Festival has been committed to its mission of "promoting and cultivating the arts." Done so through a variety of cultural and exciting events throughout the weekend. The Big Sky Classical Music Festival is a 3 day festival for all ages. This annual event showcases the best in classical music from around the globe during two free outdoor performances in Big Sky`s Town Center Park. Kick off the school year with orientation at Montana State University.